1. That plenty photocopy stuff people will tell you is rubbish. 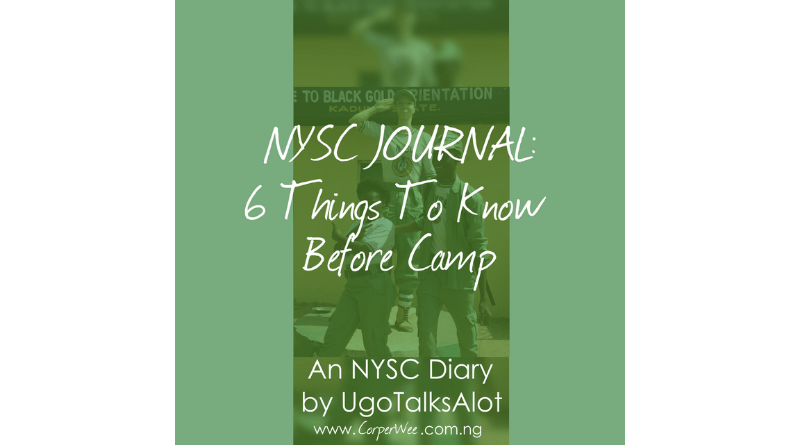 For registration you only need like two copies for each document because there are other documents they’ll give in camp. 2. If you’re very security conscious and careful you can carry a lot of cash. There are usually people that can help you withdraw but they’ll take a fraction of it. 3. The most expensive thing and the only expensive you should have is your phone. And make sure it’s in your waist bag which should be on you at all times. 4. Pack light. Don’t go with big boxes, the smaller the better. If you can’t carry it on your head comfortably, it’s too big. 5. Make friends, find people going to your state. They will literally save your life. You can plan together and travel together. That’s what I did. 6. Get Specific Information. Check the weather, the climate, know what to pack. Ask people that went there, ask for details. Ask instructions from officials directly. Make sure you ASK.